Join us on Tuesday, Dec. 11 at 10 a.m. on the Boca Raton campus for guidance on how the new changes to the Federal Policy for the Protection of Human Subjects (the Common Rule) applies to FAU researchers. Daniel Flynn, Ph.D., Vice President for Research; Karin Scarpinato, Ph.D., Executive Associate Vice President; Elisa Gaucher, Assistant Vice President for Research; and the Human Research Protections Program staff will present. To download a flier with details including video conference locations, click here. 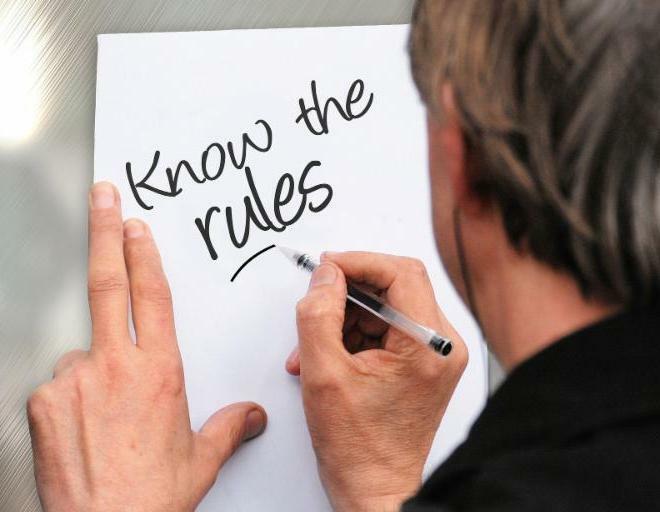 For details on the Common Rule, click here. 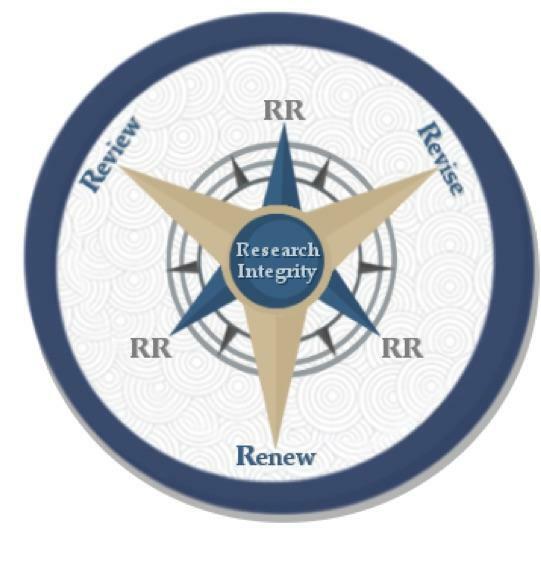 This Spring will be the final opportunity for researchers to complete the four-part Responsible Conduct of Research workshop for free. A credited course through the College of Education is being developed. For details, click here. 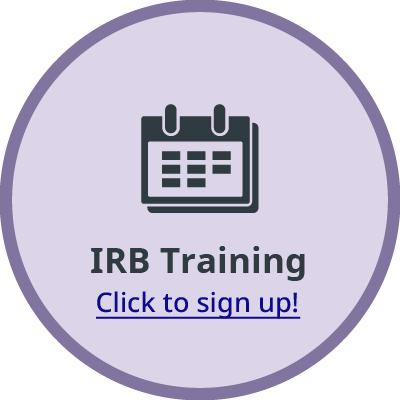 We have launched an “IRB Education Course” on Canvas. This learning community serves as a virtual assistance and training platform which allows you to get answers you need any time, from any device, and to connect with Human Research Protections Program staff or other researchers. To learn more, click here. Monthly training is available for researchers working with human or animal subjects. Check out the training calendars to register now. We invite you to set an appointment for IRB or IACUC related questions – even before submitting your protocol – using the training calendars above. Researchers and staff who are associated with an FAU research lab/project are eligible to affiliate with FAU’s CITI program to complete required training at no cost. Registration doesn't require an FAU email. The independent learner registration option is only for those not working with an organization with a CITI membership. Unfortunately, fees incurred by inadvertently registering in this category are non-refundable. Please notify Helen Munchow if you are unable to attend an IACUC hands-on-training workshop for which you've already registered. Contact Dana Mulvaney for ethics training workshops, both no later than 24 hours in advance of the training. 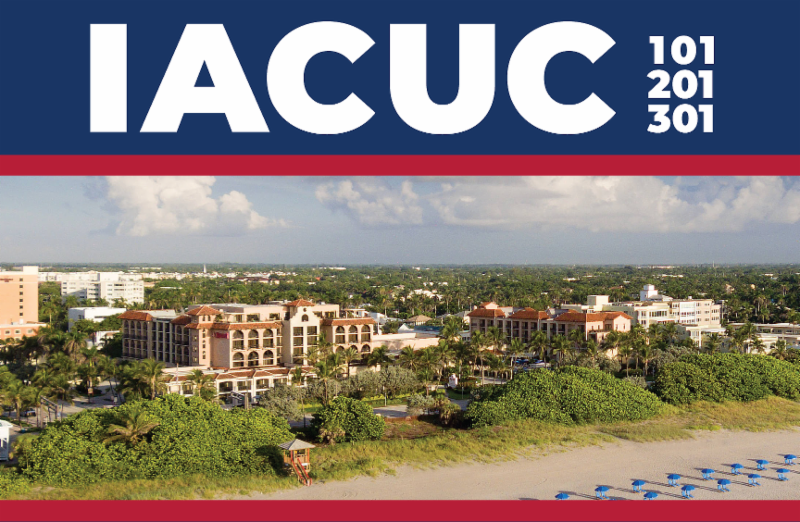 In early November, FAU co-hosted the IACUC 101 Series, a long-standing program to educate professionals working with animal models. The well-received conference, held in Delray Beach, brought in the highest number of attendees from across the globe in its third offering of the year. Proposal management, research finance, best practices in administrative performance and ethical research are among the research administration topics several DOR administrators learned about at the annual Society of Research Administrators International Conference in Orlando in October. Donna Simonovitch, Coordinator, Human Research Protections Program, attended the 2018 Association for the Accreditation of Human Research Protection Programs, Inc. (AAHRPP) Conference in Denver, Colo., in April. The conference featured several experts on the Common Rule and other complex research protection issues. To read more about these conferences, click here. It is with much excitement that we bring you an enhanced Animal Research Health and Safety Plan (ARHSP) – a result of a collaborative effort between the Environmental Health and Safety Department, the Division of Research and faculty members representing both wildlife and biomedical research. The ARHSP sets the requirements to make the university’s animal research activities in the laboratory, and field, safer and healthier work environments for everyone working with or around research animals.